The US Food & Drug Administration (FDA) has given the go-ahead for clinical testing of what could be the first gene editing treatment to be used in inherited eye disease. The new treatment, known as EDIT-101, has been developed by US-based pharmaceutical company Editas Medicine and aims to use the relatively new gene editing technique known as CRISPR to treat Leber Congenital Amaurosis type 10 (LCA10). LCA10 is the most common cause of inherited childhood-onset sight loss and is associated with mutations in the CEP290 gene. While EDIT-101 is aimed at a specific gene fault, its development will help pave the way for the use of CRISPR in the treatment of a much wider range of retinal conditions. CEP290 provides the instructions for building a protein that is essential for the formation and stability of the light sensitive outer segment of photoreceptor cells. A mutation found in 60-90% of people with LCA10 results in incorrect editing and interpretation of the genetic code during protein construction, so that retinal cells end up with a significantly reduced amount of normal, fully functional CEP290 protein. EDIT-101 employs CRISPR to cut out the faulty part of the gene, thus restoring normal function and effectively ‘rescuing’ surviving photoreceptor cells from further damage. The hope is that this should arrest the progression of sight loss. 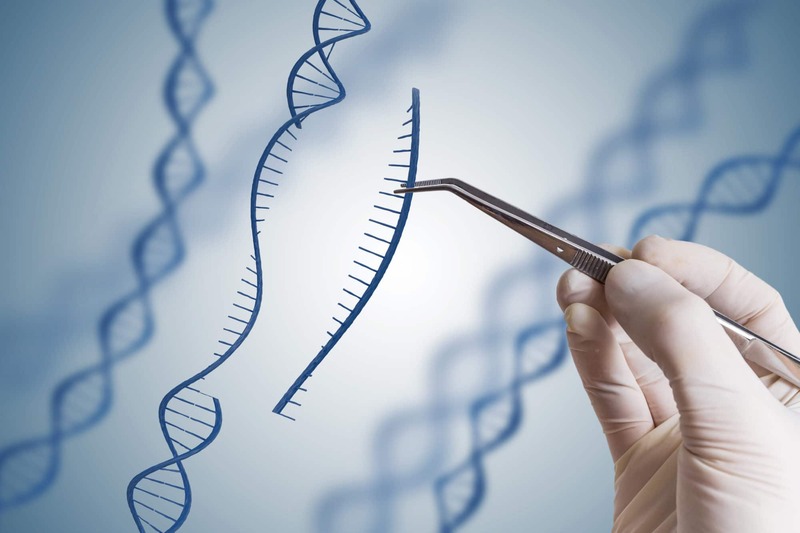 You can find out more about CRISPR, and how it differs from more traditional gene therapy, elsewhere on our website. The FDA has now approved Investigational New Drug (IND) status for EDIT-10, which enables clinical trials to go ahead. Editas and its partner Allergan, which will take forward future development and commercialisation of EDIT-10, expect to enrol between 10 and 20 LCA10 patients with this specific CEP290 mutation in an initial Phase I/II trial in the USA. The primary purpose of this small study will be to assess the safety and tolerability of escalating doses of EDIT-10, although any beneficial effects will also be assessed. The CRISPR approach isn’t the only one being used to try and tackle LCA10. Earlier this year we reported on the involvement of Retina UK-supported researcher Prof Mike Cheetham in the development of a special molecule that ‘silences’ the effect of the CEP290 mutation, rather than cutting the fault out of the gene. This alternative potential treatment, known as QR-110, is being developed by ProQR Therapeutics and has already demonstrated some success in early phase clinical trials. For further updates on the progress of both treatments through the clinical trials process, keep an eye on the Research News section of our website.